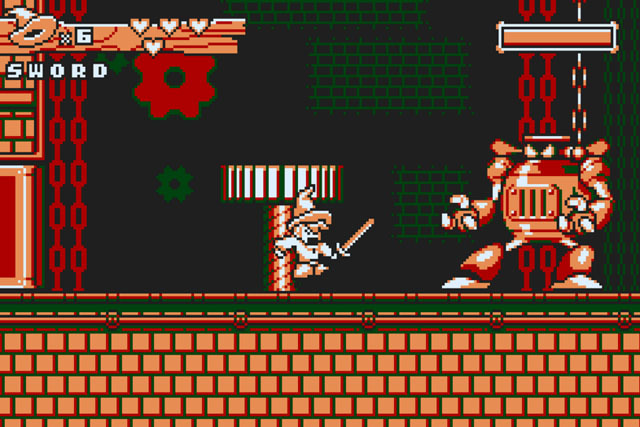 Möira, from Onagro Studios (game site), is an action platformer that mixes the aesthetics of the Game Boy and the Game Boy Color. You play the part of Rubick, a magician's apprentice on a quest to rescue his kidnapped master. Rubick is able to use his magic to copy the abilities of his enemies, as learning new spells from NPC's and defeated bosses, and he is able to combine the effects of some of these spells for new effects. Players will need to make the most of these combinations, as enemies are resistant to certain spell effects and weak against others. Levels are nonlinear, so players will need to explore them fully in order to move forward and learn the necessary abilities to overcome their enemies. Möira is coming to PC, Mac, and Linux via Steam and is planned for release in 2017, following a successful Kickstarter campaign (with a hint hidden in its description). A playable demo is available on Itch.io.